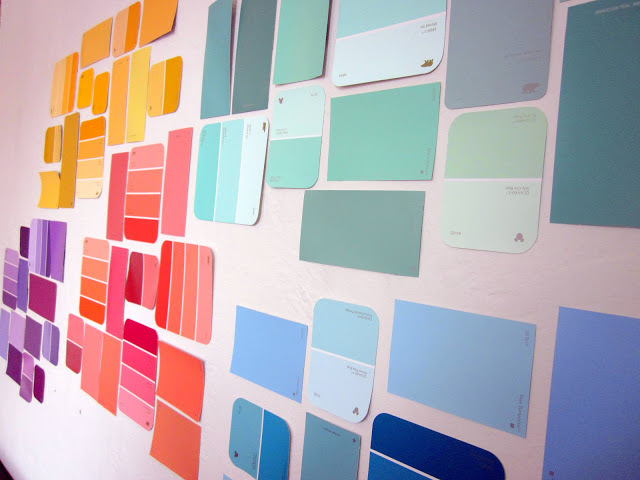 Whether you believe it or not, choosing a paint color might be the most important (and most difficult) decision of the entire decorating process. The reason we say this is because it’s been shown that color actually accounts for 60 percent of our response to a particular object or place. Although we won’t get into a breakdown of the specific responses that each color evokes, here are some general tips to keep in mind as you make your decision! If you have no idea where to begin with selecting a color, the best thing to do is find a point of reference. This could be a piece of art, an area rug, or even an item of furniture. Bring out a color in one of these décor pieces by painting the room the same shade. This is the most commonly used painting tactic because it’s a simple yet excellent way to make any room look well put together. Don’t stress yourself out over choosing a color for the bedroom. Even though we would obviously like the room that’s most personal to us to look nice, spend more time worrying about rooms that get the most “living time” out of them. Choosing a living room or kitchen color is much more important in the grand scheme of things. If you’re not quite ready to step out of the box and want to pick a more basic hue, a foolproof way to find a color you’ll be sure to like is to look at the already existing colors around you. For example, what shade of shirt seems to keep popping up in your closet? There’s nothing wrong with playing it safe with a color that you know you already like! Maybe you can’t decide on one color in particular. It’s okay! Play around with a color group by creating bold or subtle variations. Use a darker shade for an accent wall and softer tones for the remainder of the room. This is a trend that’s becoming more popular because people have found that accents have a way of adding life to any space. As we said, paint selection is a critical step when it comes to decorating, but one thing to always remind yourself is that paint isn’t permanent. Regardless of if you go bold or casual, just enjoy the process and more importantly, the outcome!